Who ARE the Parents of Scarlet Witch and Quicksilver? During the recent Marvel Comics “event” mini-series Axis, a major revelation (and one of the only really significant things to come out of the disappointing comic) was that Magneto was actually NOT the father of Scarlet Witch, and by extension Quicksilver. This reversed the story going back decades that Magneto was their biological father. Magneto’s parentage of Wanda and Pietro was a major point of numerous recent storylines, perhaps most notably House of M, and there was even an “inside” joke about it during the film X-Men: Days of Future Past. Many fans believe that Magneto was removed from being the father of Scarlet Witch and Quicksilver in the comics because of the Marvel Cinematic Universe, and the desire for the comics to more readily mirror the movies. As most fans know, the film rights to the X-Men, Magneto, and the term “mutants” belong to 20th Century Fox, meaning that Scarlet Witch and Quicksilver cannot “officially” be mutants in Avengers: Age of Ultron. With the planned film Inhumans and the role powered Inhumans are playing in the television show Agents of S.H.I.E.L.D., some believe Marvel will ultimately reveal that MCU Wanda and Pietro are Inhumans rather than mutants. This theory does seem to have some credence, as the Avengers teams in the comics has come to resemble the film version (the Hulk and Black Widow had not been key members of the team in some time prior to the movie) and comic book Ant-Man is once again Scott Lang. In the recently re-launched Uncanny Avengers (written by Axis writer Rick Remender), Scarlet Witch and Quicksilver have gone searching for the secret about their parents. However, the truth is that the ret-con that Magneto wasn’t their father is actually a ret-con of a ret-con. Confused? Of course, it’s comic books! You see, Magneto wasn’t always the father of Scarlet Witch and Quicksilver. When they first appeared in Uncanny X-Men #4, Scarlet Witch and Quicksilver were simply members of Magneto’s team the Brotherhood of Evil Mutants, and there was no hint that he was their father (though Wanda and Pietro were siblings from the start). Eventually, they turned into heroes and it was established that the heritage of Wanda and Pietro was of the Eastern European Roma people. They were born in a village called Wundagore, which is also the home of the villain the High Evolutionary. Brian Cronin has explained some of the later developments in his great column “Abandoned An’ Forsaked.” In Giant-Size Avengers #1, published in 1974, the super-speedster the Whizzer, a member of the World War II-era hero team The All-Winners Squad (later known at the Invaders), shows up and basically tells Scarlet Witch that he was the father of her and Quicksilver and that their mother was the superhero Miss America. This made some sense since Quicksilver’s super-speed now came from a father who also had super-speed. So for a time it was believed that Whizzer and Miss America were the parents of Scarlet Witch and Quicksilver. [caption id="" align="aligncenter" width="475"] Miss America (in red), top left; Whizzer (in yellow), bottom right[/caption] Then in 1979, through a storyline in Avengers (taking place during issues #185-187), it is revealed that the real mother of Scarlet Witch and Quicksilver was a woman named Magda. It’s soon shown that Magda was the former wife of Magneto, though he is unaware that she had twins during her time on Wundagore. 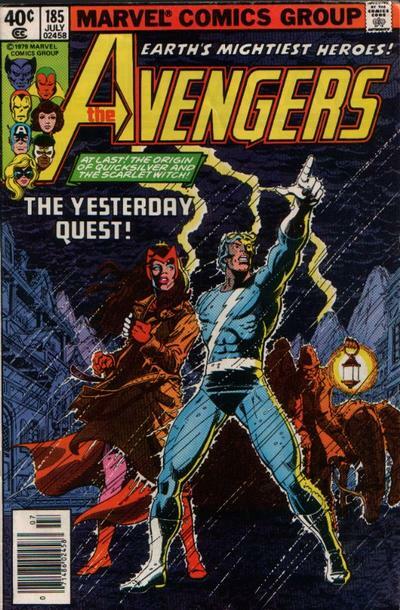 During the 1982-3 mini-series Vision and Scarlet Witch, Magneto travels to Wundagore and learns from Bova, a cow-woman who took care of the twins as infants (yes, this sounds weird – part of the High Evolutionary’s thing is animal people), that Wanda and Pietro are actually his children. He soon tells the twins, and that was the new status quo – Magneto was the father of Scarlet Witch and Quicksilver, and their mother was a presumed-deceased woman named Madga. Two important points to note about all of this: 1) Bova never produced any evidence that Magneto was the father of Wanda and Pietro. She simply told Magneto, so it is possibly that she was wrong or lying. 2) Even prior to the revelation that Magneto was thought to be their father, Scarlet Witch and Quicksilver were mutants. Ever since their debuts, both were considered mutants. So ret-conning the ret-con that Magneto is their father is one thing, but it would be a different and more significant ret-con if it’s revealed that the twins are not mutants. 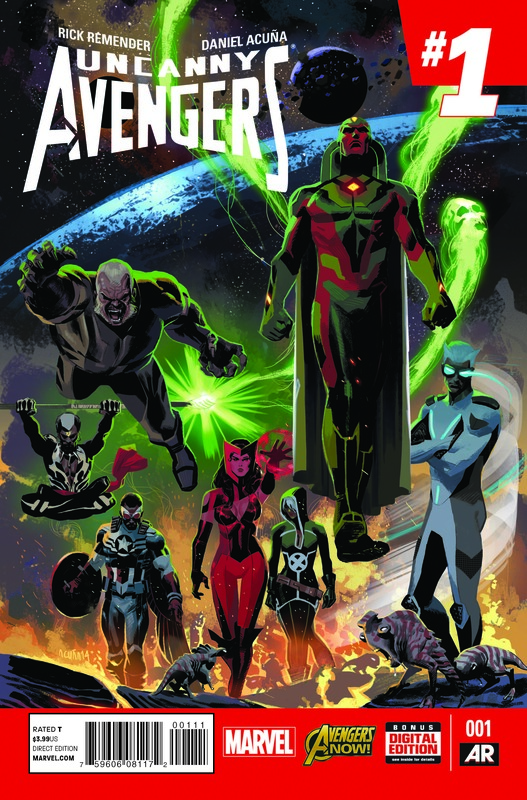 It’s still early in the new Uncanny Avengers, so it’s hard to say who will be revealed as their father. Will it be the High Evolutionary? Some random person? It’s also worth noting that Axis didn’t explicitly say that Madga was not their mother, just that Magneto was not their father. When the truth comes out, will Scarlet Witch and Quicksilver still be mutants? Inhumans? Mutant-Inhumans? The parentage of Scarlet Witch and Quicksilver has always been rather complicated, and we’ll soon see how the developments in the MCU Avengers: Age of Ultron and the comic book Uncanny Avengers series change things and whether those changes reflect each other.